I didn’t really like Leigh Bardugo’s Shadow and Bone, but I absolutely loved the duology set in the same world (Six of Crows and Crooked Kingdom), so I decided to give the Grishaverse another go. The second book in the Shadow and Bone Trilogy, Siege and Storm, was much better and made me finally get why there is such a large fandom for these books. Now that the Grisha bug has got me, I needed to delve into that beautiful book of twisted fairy tales set in the Grishaverse – and it was, if possible, even better than the main stories. First sentence: In the year that summer stayed too long, the heat lay upon the prairie with the weight of a corpse. This collection of fairy tales set in the Grisha universe contains six stories, some of which are set in Ravka, some of which in other parts of the Grisha world. Most of them are recognisable as well-known fairy tales from our worlds, but because each tale has such a distinct flavor, I’m going to talk about every one of them a little. I didn’t read them in order because I discovered “The Witch of Duva” before this collection came out (and loved it!) and you can pretty much read these tales in whichever order you like. They are not connected, other than by the fact that they’re all set in the Grisha world. I loved how much like a fairy tale this felt! It is about a family with two daughters, one pretty and talented, the other… not so much. Because the second daughter, Ayama, is not much to look at and the family want to showcase their beautiful daughter, they make Ayama into a scullery maid who sleeps in the ashes in front of the fireplace (ring a fairy tale bell yet?). It is also the story of a king and queen with two sons, one handsome and lovely, the other in the shape of a wolf with terrifying horns. Because the king is so ashamed of this second son, he has a labyrinth built under his castle and imprisons the son there. When the kingdom, currently at war, suffers damage to their fields and livestock – said to be done by the beast that escaped its labyrinth under the castle – the king asks for a brave soul to delve into the wild forest and slay the beast. Or at least convince it to leave the people and their livelihood alone. After little ceremony, Ayama is sent on this journey and – in a lovely twist – has to save her hide from the beast by telling it stories. I won’t say more about the plot at this point, but the writing is just exquisite. It does read like a fairy tale, but one where the characters aren’t cardboard. The imagery is gorgeous, the ending was as perfect as can be. This is an excellent opening story for the collection and makes you want to read the whole thing in one sitting (which is what I did). This title was actually mentioned in the Shadow and Bone trilogy (in the second book, when Alina meets Sturmhond), so I was eager to find out what the fairy tale had to do with a pirate… sorry, privateer. It is almost a fable, the story of a trickster animal, too clever for his own good. It tells of how Koja, the fox, escapes a series of dire situations through cleverness and wit. But he has to admit, by the end, that even he can be outsmarted. This is the Grisha version of Hansel and Gretel and the story works so well because as readers, we all go in with a set of expectations. We know Hansel and Gretel, we know certain things that have to happen, we know how the story ends. Now while you may expect Bardugo to put a spin on things and give you an alternate ending, I bet you won’t guess the twist at the end! It’s not only a well-written story, it’s a well-written story with an excellent ending that makes you want to re-read it right away. This was my least favorite story in the collection, which doesn’t mean it was bad, just not as good as the competition. It’s about a girl so beautiful that everyone – and I mean everyone! – wants to marry her. When her father sees his chance for riches, he sets his daughter’s suitors three impossible tasks, promising whoever manages them, her hand in marriage. There is a prince vying for her favor but there is also a Grisha who seeks the river’s help in accomplishing these tasks. 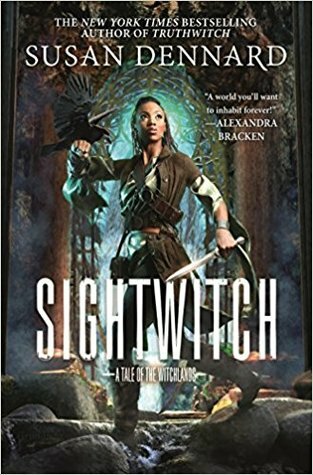 Again, there is a nice twist at the end that I really loved, but the rest of the story fell rather flat in comparison and the characters never get to be more than what you’d get in a fairy tale. A story based on The Nutcracker and set in Kerch! I have loved The Nutcracker since I was a little girl so I immediately loved where the story was going. It begins with Droesser, a clockmaker, a tinkerer, a man who seemingly brings mechanical things to life. He seeks the favor of a young girl named Clara and gifts her a nutcracker to tell her secrets to. But the story soon goes in different directions. At first I thought it was about Droesser, then about the dreamy girl Clara, who wishes nothing more than to escape to fantasy worlds with her beloved nutcracker. But it is actually about the nutcracker himself. That’s all I’m willing to say about the plot. The ending manages to be wonderful without a shocking twist, this time, and while it’s one of the longer tales in this collection, it is also a beautifully satisfying one. This too is based on a real world fairy tale and when I tell you that the protagonists are mermaids, you’ll know which one. Ulla is different than the others. Where they are beautiful, she is grey and strange. All she has is her amazing voice and her gift for composing and singing music, which is how the sildroher use magic. Through this skill, she makes one friend, the beautiful red-haired Signy and in combining their voices, they catch the eye of the youngest prince, Roffe. Only the most highly valued sildroher get to accompany the royal family when they go on land to frolick with the humans. They cut their tails to create legs, they dance and dine with humans, they bring gifts and keep the diplomacy between the two species. Ulla and Signy get to go along as Roffe’s friends and, let’s just say, things get a little out of hand. I honestly thought I knew where the story was going, and then it went a completely different way, only making sense again at the end. And I loved every page of it. I do have to say a few more things about the collection as a whole and about the book as an object because it is GORGEOUS. Every single page is illustrated, starting with only a small illustration in a corner, which then grows as you turn the pages, adding a little bit every time. Each story also has a beautiful piece of art at the end (some of them spoilery, so beware!) and the font is different colors!!! I’ve added a taste of them in my review but really, you have to see them in person to understand just how beautiful they are. This is an excellent book to gift to someone, especially if they like fairy tales or just pretty books. It will give anyone a taste for more Leigh Bardugo fiction and, if you’re like me, it will make you want to devour all the Grisha books you can find.